t was 1972 when our passion for the Cocker began. It was love at first sight! How can you resist this wonderful breed! 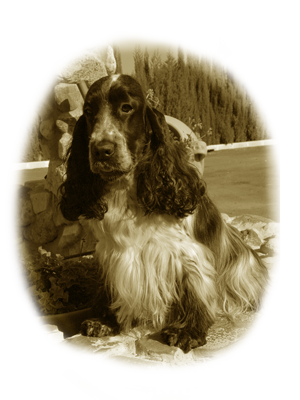 Among our owned Cockers it's impossible to forget Vortex Peak (sister of the champion Gio Vortex), a splendid specimen, an unbeatable and relentless huntress, as well as a companion of our family life. Meeting Franca Simondetti with her valuable information (Grandes Murailles Breeding) has been fundamental for us. 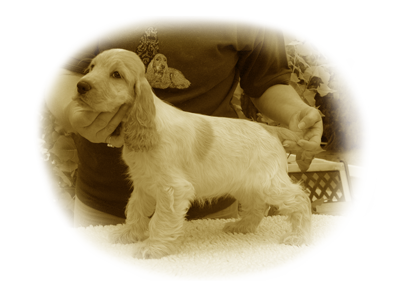 inally, to get to this day, it was fundamental meeting the English breeder Sarah Amos Jones (breeding ``Cassom``) with the arrival of Cassom Overjoyed with Marveil and Cassom Clarissa with Marveil. Ours is an amateur breeding. All our cockers live with us. 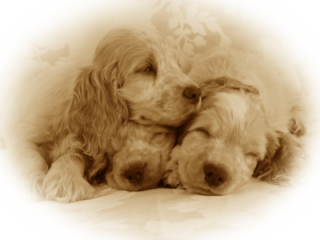 We have decided to keep a few dogs, so that we can follow, take care and pamper each one of them in the best way. he desire to always broaden our horizons, with the study of the most prestiguous bloodlines, and the highly-anticipated arrival of two very typical subjects Mossdew Pavarotti and Mossdew Blue Butterfly, ``the founders`` of our breeding, brought us to meet Mrs. Bunting (breeder with Mossdew affix, an expert of the breed and an international judge in the 70s). Then, in May 12, 2006, came the official recognition from FCI and ENCI of our amateur breeding with the MARVEIL affix. 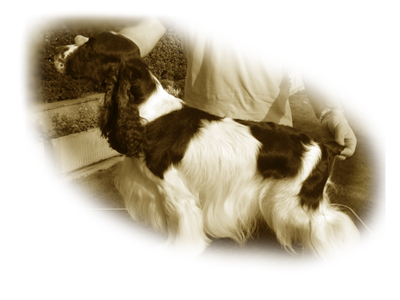 or the same reason, we have at most 1 or 2 litters per year, carefully selecting the pairs, with the aim to obtain specimens that meet the breed standard from the morphological point of view, but especially character.